R.H. Baker standing at the BINAC controls while R.W. Rutishauser seated enters data. 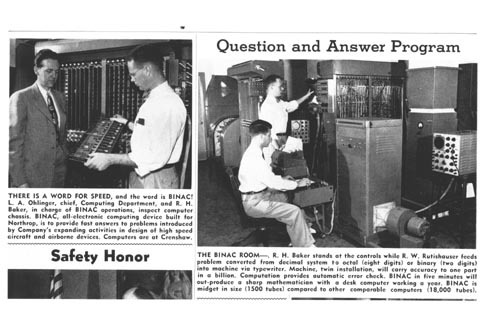 Verso: " BINAC at Northrop Aircraft installation Northrop News , May 31, 1950"